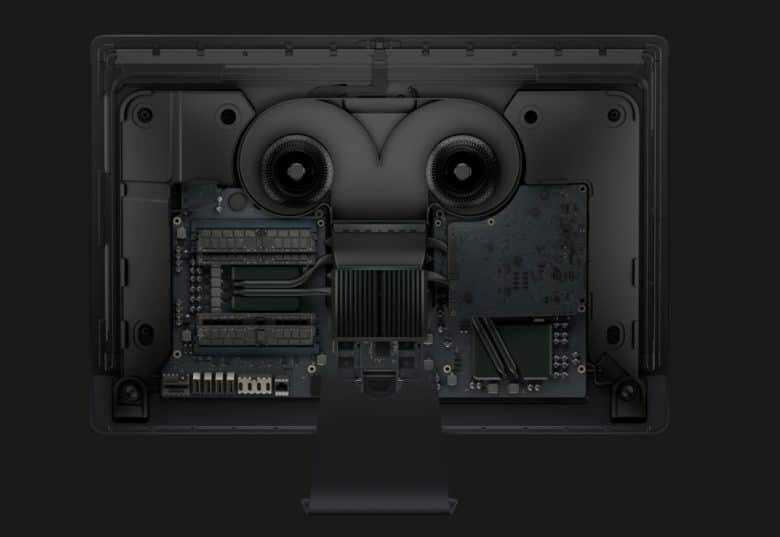 In a tweetstorm review of the iMac Pro, Sasser revealed that the new chip is used to store encrypted passwords and acts as a hardware encryption engine. Apple first started using secure enclave chips with the iPhone starting in 2013 with the iPhone 5s. This is the first time similar technology is being used on the iMac, only it looks like the T2 chip is much more advanced. The new MacBook Pro with Touch Bar sports a similar T1 chip only its used for Touch ID authentication. Apple did not add Touch ID support to the new iMac Pro keyboard. The iMac Pro was also rumored to be getting an A10 chip for always-on “Hey Siri” support. At this time no early reviewers have been able to verify if that’s true though. The spec sheet for the iMac Pro doesn’t mention the T2 chip, but the machines come with a version of a macOS High Sierra that adds a new “Startup Security Utility” option. Apple also added new Secure Boot options.